It is not unusual for dog owners who now own a senior dog to have owned that dog for many years. Perhaps even as a pup. As the dog grows older it becomes concerning for the dog owner. 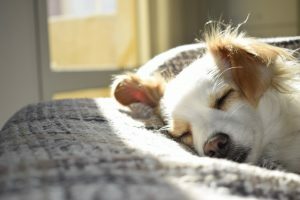 There is lots that can be done for the senior dog to keep them comfortable and happy. To begin with its really important to recognize that the dog is ageing. There are telltale signs of this besides their actual age. There will be changes in their physical appearance. Their hair may be turning white in spots, and their muscle mass may be diminishing. Although it is not uncommon for man senior dogs to be overweight. The first change that may be needed is with their diet. It is not uncommon for dog owners to serve the same dog food to their dogs that they have used for many years. It has served the dog well during their adulthood. Now the senior dogs has different dietary needs. One option is to check out what the local pet store has in stock for senior dogs. Another option is to check with the vet to see what they recommend. 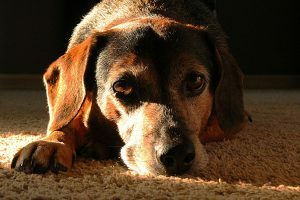 The senior dog may need a special diet that has been determined by the overall health of the canine. Even though the dog is getting up in age he will still need some exercise. This may no longer be fetching the ball or long runs. Instead, it may be quiet short walk more frequently through the day. As dogs age their hearing is not as acute and they may not see as well. Dog owners need to be aware of this and take extra precautions. Speaking louder so the dog can hear is one thing. Also, keeping them away from stairs or other areas where they could fall is another. Dogs can live to a very good age especially when they are given some extra care through their senior years. More frequent checkups with the vet may be necessary. This can help to prevent some of the common ailments that some senior dogs can end up with. There are times where dog supplements for seniors can make a big difference to their quality of life. Most of all give the senior dog a little bit of extra loving as this is the best medicine of all. How Much Do Dogs Cost?